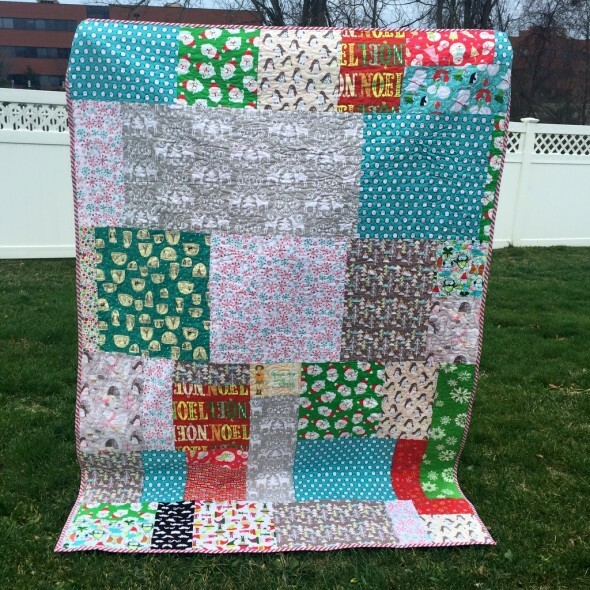 The Christmas Quilt Is Finished! 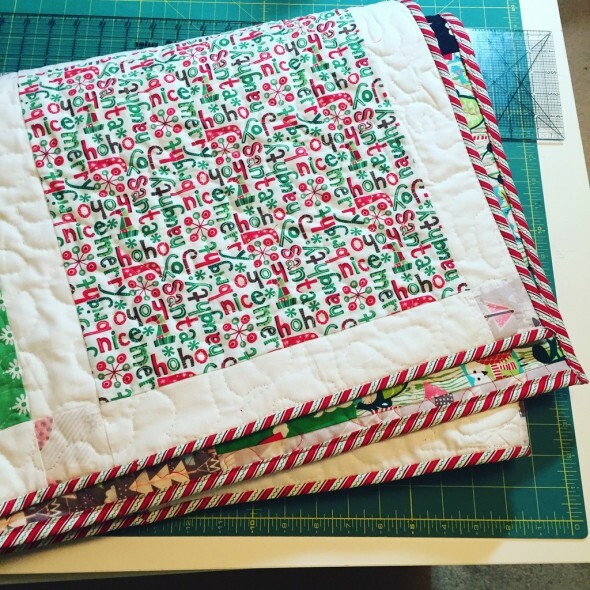 Other posts on this project: Christmas Quilt Pt. 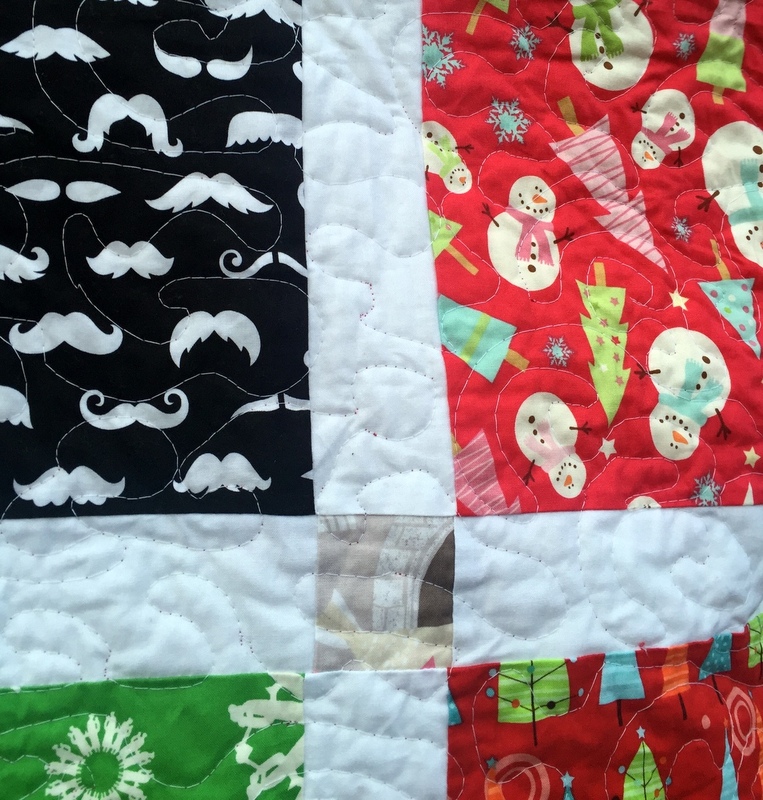 1, Christmas Quilt Pt. 2. I think it’s pretty safe to say that this will be the last make of my 2015. 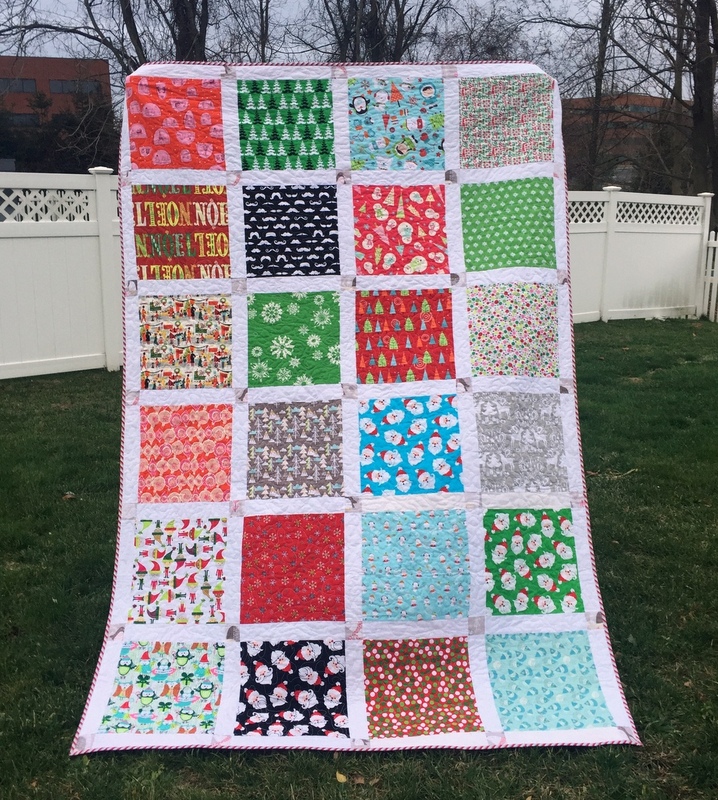 I finished this quilt right after my last post about it, in time to really enjoy some quality relaxing under it before Christmas. I just love it, this was a great one to end the year. You can make this pattern as a Disappearing Nine Patch quilt, but I did it as a lattice quilt with cornerstones. 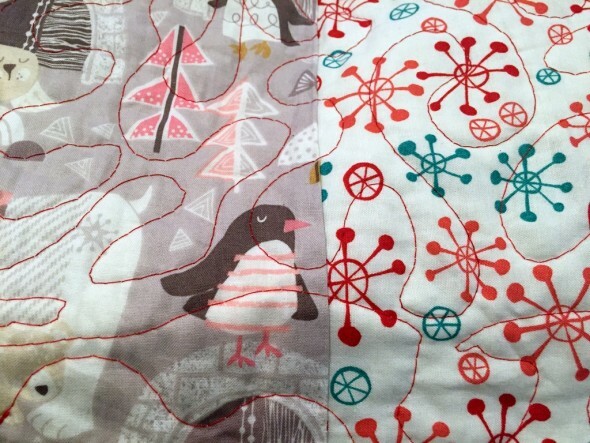 I used the adorable Penguin Parade print in Taupe from Blend Fabrics for the cornerstones, and the sashing is Kona Snow. All the other prints are a hodgepodge of holiday fabrics I’ve collected over the years, plus some fun new ones I picked up over the course of 2015–like the Sparkly Tinsel collection from Cotton + Steel. I also decided to make the back with big scraps, also from various prints and collections, to make the quilt reversible. 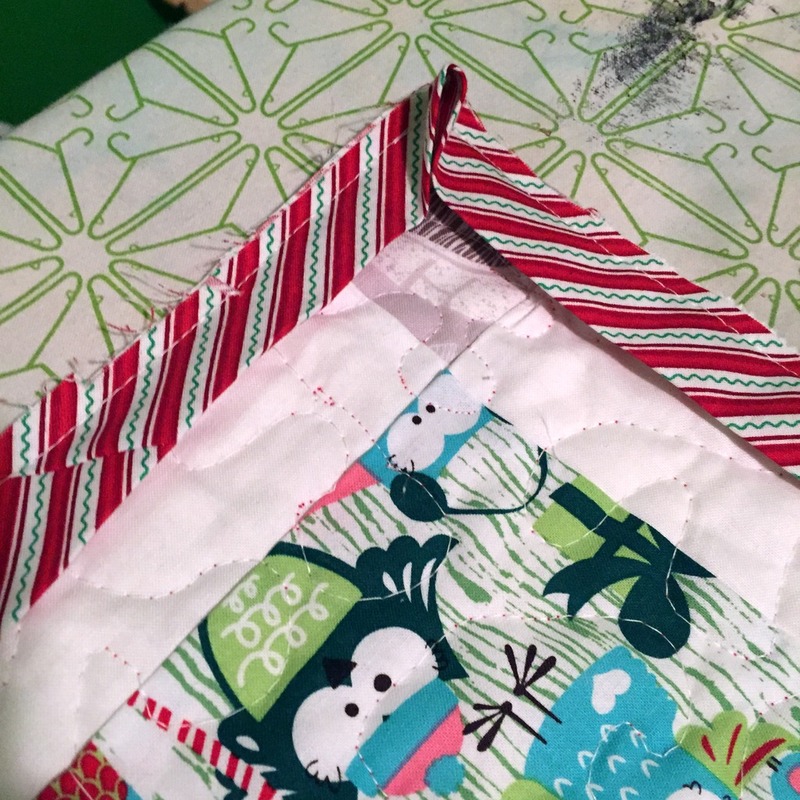 Organized on the front, scrappy on the back. I adore this back. I also quilted with red thread on the back and white on the front. And I used a candy cane stripe for the binding, which I also just love. It just looks perfect bound in that stripe!!! And my label on the back. 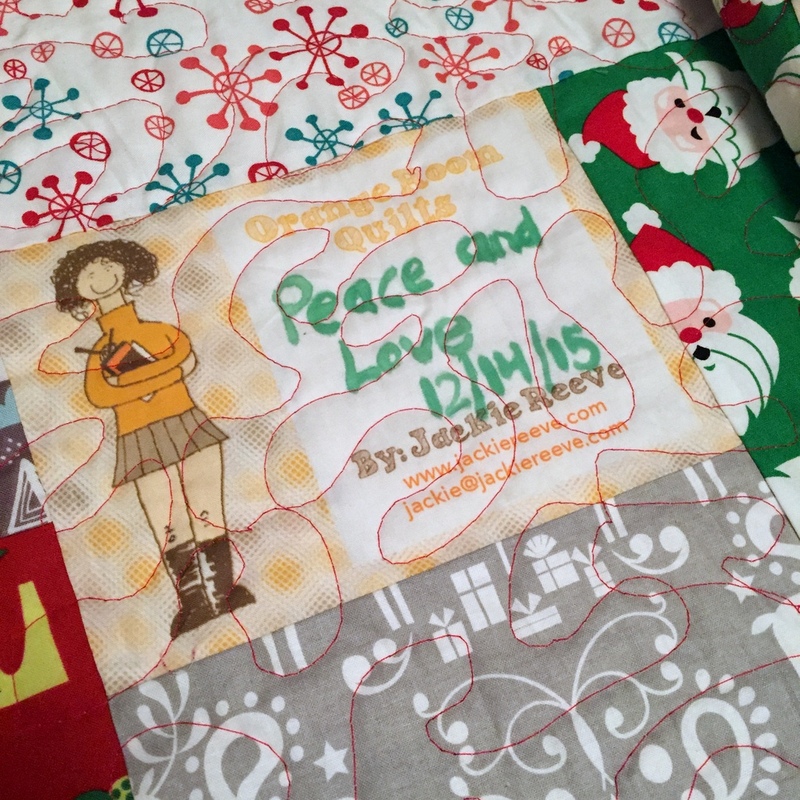 Because Peace and Love is all I want in the universe as 2015 draws to a close.